If you think the desire for straight teeth is a trapping of modern society, think again! Extreme Makeovers may be new, but "braces" date as far back as ancient man! Even ancient people wanted straight teeth! According to the AAO (American Association of Orthodontists), archaeologists have discovered mummified ancients with crude metal bands wrapped around individual teeth. To close gaps, it has been surmised that catgut did the work now done by today's orthodontic wire! Later, in 400-500 BC, Hippocrates and Aristotle both ruminated about ways to straighten teeth and fix various dental conditions. Straight teeth have been on our minds a very long time! 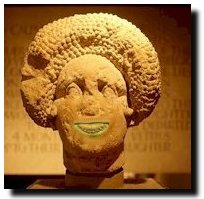 While Greece was in its Golden Age, the Etruscans (the precursors of the Romans) were burying their dead with appliances that were used to maintain space and prevent collapse of the dentition during life. Then in a Roman tomb in Egypt, a researcher found a number of teeth bound with a gold wire -- the first documented ligature wire! At the time of Christ, Aurelius Cornelius Celsus first recorded the treatment of teeth by finger pressure. Despite all this evidence and experimentation, no significant events in orthodontics really occurred until the much later, in around the 1700s (although dentistry as a whole made great advancements in the interim). 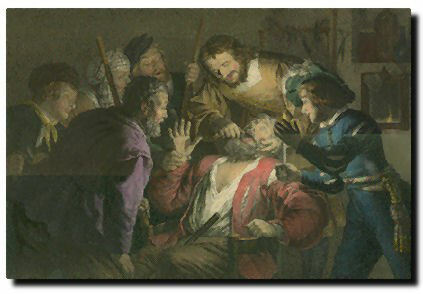 It should be noted that in Medieval times, specialized barbers often performed dental "operations", extractions, and procedures such as blood-letting. Let's be glad we live in the 21st Century! Even before George Washington wore his famous wooden teeth, dentists were thinking about ways to correct bad bites. In 1728, French Dentist Pierre Fauchard published a book called the "The Surgeon Dentist" with an entire chapter on ways to straighten teeth. 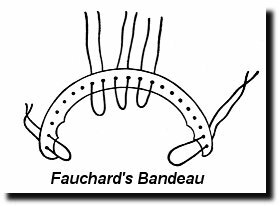 Fauchard used a device called a "Bandeau," a horseshoe-shaped piece of precious metal which helped expand the arch. French Dentist Ettienne Bourdet followed Fauchard in 1757 with his book "The Dentist's Art", also devoting a chapter to tooth alignment and appliances. Bourdet was the dentist to the King of France. He further perfected the Bandeau, and is also the first dentist (on record) who recommended extraction of premolars to alleviate crowding. He was also the first to scientifically prove jaw growth. Here's a link to a series of pages with some fascinating illustrations of early expansion devices. Scottish surgeon John Hunter wrote (among other surgical books) "The Natural History of the Human Teeth" in 1771, clearly describing dental anatomy. Hunter coined the terms bicuspids, cuspids, incisors and molars. His second book, "A Practical Treatise on the Diseases of Teeth", described dental pathology. Although teeth straightening and extraction to improve alignment of remaining teeth has been practiced since early times, orthodontics as a science of its own did not really exist until the mid-1800s. In 1819 Delabarre introduced the wire crib, which marked the birth of contemporary orthodontics. The term orthodontia was coined by Joachim Lafoulon in 1841. Gum elastics were first employed by Maynard in 1843. Tucker was the first to cut rubber bands from rubber tubing in 1850. And in the late 1800s, Eugene Solomon Talbot was the first person to use X-rays for orthodontic diagnosis. But all this was nothing compared to advances in orthodontics in the 20th Century. Historians claim that several men deserve the title of being called "The Father of Orthodontics." Fauchard certainly took orthodontics out of the dark ages, but these men really put maloclussion on the map. One man was Norman W. Kingsley, a dentist, writer, artist, and sculptor. In 1858, he wrote the first article on orthodontics, and in 1880, his book "Treatise on Oral Deformities" was published. The second man who deserves credit was a dentist named J. N. Farrar who wrote two volumes entitled "A Treatise on the Irregularities of the Teeth and Their Corrections". Farrar was very good at designing brace appliances, and he was the first to suggest the use of mild force at timed intervals to move teeth. 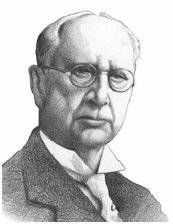 In America in the early 1900s, Edward H. Angle devised the first simple classification system for malocclusions, which is still used today (Class I, Class II, and so on). His classification system was a way for dentists to describe how crooked teeth are, what way teeth are pointing, and how teeth fit together. Angle contributed significantly to the design of orthodontic appliances, incorporating many simplifications. He founded the first school and college of orthodontics, organized the American Society of Orthodontia in 1901 (which became the AAO in the 1930s), and founded the first orthodontic journal in 1907. 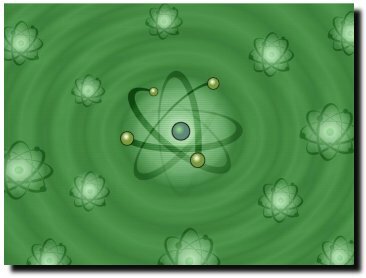 A journal and website bearing his name still thrive today. His highly praised reference book, "Malocclusion of the Teeth" went through seven editions. In the wake of all these advancements, the field of orthodontics and dentofacial orthopedics eventually became a respected dental specialty in its own right. Other innovations in orthodontics in the late 1800s and early 1900s included the first textbook on orthodontics for students, published by J.J. Guilford in 1889, and the use of rubber elastics, pioneered by Calvin S. Case (some believe it was H. A. Baker). What did braces look like a century ago? In the early 1900s, orthodontists used gold, platinum, silver, steel, gum rubber, vulcanite (and occasionally, wood, ivory, zinc, copper, and brass) to form loops, hooks, spurs, and ligatures. Fourteen- to 18-karat gold was routinely used for wires, bands, clasps, ligatures, and spurs, as were iridium-platinum bands and arch wires, and platinized gold for brackets. Why gold? It is malleable and easy to shape. Gold had its drawbacks, however -- because of its softness it required frequent adjustments, and it was expensive! Anyway, you guessed it -- these bands wrapped entirely around the each tooth -- the original "metal mouth" was real gold or silver! How's that for bling? In 1929, the first dental specialty board, the American Board of Orthodontics, was born. On a side note, the first synthetic (nylon)-bristle toothbrush was invented in 1938. Around this time, stainless steel became widely available, but using it for braces was considered somewhat controversial. It wasn't generally accepted as a material for orthodontic treatment until the late 1950s/early 1960s! In addition, you may be surprised to learn that x-rays were not routinely used in orthodontic treatment until the 1950s! Braces continued to wrap around the teeth until the mid 1970s, when direct bonding became a reality. Why did it take so long for dentists to invent the modern bonded bracket? The adhesive! The bonded bracket was actually invented earlier, but the formulation for the adhesive wasn't perfected until almost a decade later. At first, bonded brackets were (of course) made of metal. 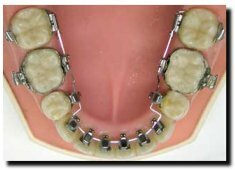 Like any new method, it took a while for the direct bond bracket to catch on -- which is why some people may remember wearing the old "wrap around" metal braces into the late 1970s. Around this time, the self-ligating bracket also appeared on the scene. Self-ligating brackets don't need tie wires or elastic ligatures to hold the arch wire onto the bracket -- they are held on by a "trap door" built into each bracket. As early as 1935, the idea of a self-ligating brackets began to take shape. Over the years many designs were patented, but few were commercially available until Ormco created the Edgelock system in 1972. As the 1980s and 1990s progressed, many companies created their own versions of self-ligating brackets and improved upon the idea by offering both passive and active resistance on the arch wire. Nowadays, we have a number of self-ligating choices, such as Orec's Speed Braces, Ormco's Damon System, GAC's In-Ovation, and Adenta's Evolution. In the 1970s, Earl Bergersen, DDS created the passive Ortho-Tain appliances, which guide jaw growth and help correct orthodontic problems and malocclusions in both children and adults. The Ortho-Tain appliances look like custom plastic mouthguards, and are worn mainly at night, or for only a few hours each day. In many cases, people have been able to correct (or greatly diminish) many types of orthodontic problems with these removable custom-made appliances. Around 1975, two orthodontists working independently in Japan and the United States started developing their own systems to place braces on the inside surfaces of the teeth -- lingual braces. These "invisible braces" offered people the results of bonded brackets with one big advantage -- they were on the inside of the teeth, so nobody else could see them! In America, the late Dr. Craven Kurz of Beverly Hills California developed the Kurz/Ormco lingual system. In Japan, Professor Kinya Fujita, of Kanagawa Dental University invented his own lingual system, and continues to make great advances in the lingual method. 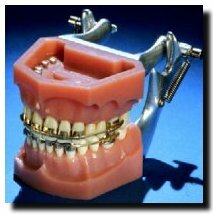 It takes special training to treat a patient with lingual braces, and many American orthodontists in the 1970s and 1980s were reluctant to use the method -- but orthodontists in other countries readily embraced it, and continued to make advancements with new techniques. Recently, lingual braces have become more popular because technology has made them more comfortable. One example is iBraces, a company which custom-fabricates brackets for a patient's teeth with the aid of digital computer imaging. Lingual braces were the "invisible" braces of choice until the early 1980s, when "tooth colored" esthetic brackets made from single-crystal sapphire and ceramics came into vogue. Nowadays we also have brackets made from a combination of ceramic and metal -- giving the patient a strength of metal with esthetic look of less noticeable "tooth colored" braces. Recently, a European company even invented a ceramic bracket that is self-ligating! As far back as 1945, orthodontists realized that a sequence of removable plastic appliances could move teeth toward a predetermined result. 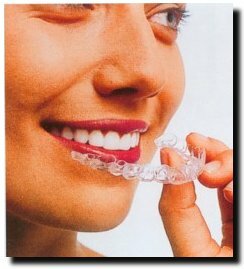 Some orthodontists even made simple plastic "aligner trays" in their offices for minor adjustments. But it took an adult who'd just had braces to take the concept a step further. 3-M Unitek, Ormco, OrthoClear, and others. As technology enhances our daily lives, it also continues to advance the science of orthodontics. More and more companies are utilizing digital computer imaging to make orthodontic treatment more precise. The SureSmile system by OraMetrix, for example, takes a detailed 3-D model of a patient’s teeth and helps the orthodontist develop a precise treatment plan for tooth movement. The orthodontist's treatment plan then drives a highly accurate robotic process to customize the arch wires needed for treatment. This often shortens treatment time and gives highly accurate results. NASA developed one of the late 20th century's most dramatic orthodontic breakthroughs: heat-activated nickel-titanium alloy wires. At room temperature, heat-activated nickel-titanium arch wires are very flexible. As they warm to body temperature they become active and gradually move the teeth in the anticipated direction. Because of their high-tech properties, these wires retain their tooth-moving abilities longer than ordinary metal wires and need less frequent attention from the orthodontist. Many orthodontists now employ heat-activated wires in their treatment plans. What does all this mean for the orthodontic patient of the future? As companies develop more precise, high-tech materials and methods, your braces will be on for a shorter period of time, be smaller and less visible, result in less discomfort, and give great results. We've sure come a long way from the wrap-around "metal mouth" -- and that's something we can all smile about! No, the statue didn't really have braces. I Photoshopped them in. As if you couldn't tell.